Q1: What is Tripartite Engineering Training Award (TETA) Programme? TETA is an initiative that enables Singaporeans to join the maritime industry as Marine Engineering Officers with Certificate of Competency Class 5 (CoC Class 5). This is a joint initiative by Singapore Maritime Officers’ Union (SMOU), Workforce Singapore (WSG), NTUC’s Employment and Employability Institute (e2i), and supported by the Maritime and Port Authority of Singapore (MPA), Singapore Shipping Association (SSA) and shipping companies. Today, this programme continues under the funding of SkillsFuture Singapore (SSG), MPA, SMOU and the support of partners from E2i, SSA) and various shipping companies. The pilot programme is conducted by SMOU’s training arm, Wavelink Maritime Institute (WMI). 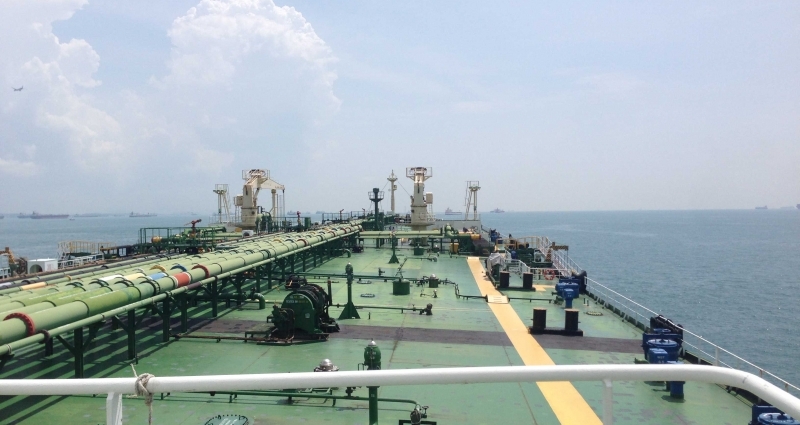 Cadets are offered training berths by a shipping company even before they embark on their training, receiving between S$1,200 – S$1,400 training allowance during the approximately 31 months’ programme. Q2: How much has been invested into this programme? S$1.2 million has been invested into this pilot project to train the cadets. The pioneering project has close to 10 Singaporeans undergoing training with Wavelink Maritime Institute to pursue this seafaring engineering career opportunity. Q3: How is the training programme like? Under this initiative, cadets undergo 8 months of pre-sea training, before sailing on board commercial ships for approximately 15 months, and returning ashore thereafter for 8 months of study at the Singapore Maritime Academy (SMA) before sitting for their Certificate of Competency Class 5 (CoC Class 5) Examinations for Marine Engineers. Q4: What is total training duration? Approximately 31 months or 3 years. Those with engineering background of at least ITE Nitec or Higher Nitec can apply. Q6: After subsidies, how much does a cadet pay for the training course? The breakdown of the training course fees is 80% by SSG & MPA; 10% by SMOU and 10% by the cadet. Q1: What is Tripartite Nautical Training Award (TNTA) Programme? In 2010, the Tripartite Nautical Training Award (TNTA) was a ground-breaking programme that was jointly initiated by Singapore Maritime Officers’ Union (SMOU), Workforce Singapore (WSG) and NTUC’s employment and Employment Institute (e2i) to train Singaporeans for the Certificate of Competency (CoC) Class 3 qualifications issued by the Maritime and Port Authority of Singapore (MPA), thereby allowing the trainees to pursue a nautical career at sea as nautical deck officers. The programme is conducted by SMOU’s training arm, Wavelink Maritime Institute (WMI). Cadets are employed by a shipping company even before they embark on their training. Cadets will receive between S$1,200–S$1,400 training allowance during their training. Thus far, more than S$28.6 million have been invested in this initiative. Under this initiative, cadets undergo 6 months of pre-sea training, before sailing on board their employer’s ship for approximately 18 months, and returning on shore thereafter for 7 months of studying at the Singapore Maritime Academy (SMA) before sitting for their Certificate of Competency Class 3 (CoC3) Examinations. Q4: What Is the Total Training Duration? Approximately 31 months or 2 ½ -3 years. Q5: Who can apply for TNTA? The breakdown of the training course fees is 80% by SSG & MPA; 10% by SMOU and 10% plus GST by the cadet. Q7: How much does a cadet pay for the course? Total course fees is $29,075 (excluding GST). With the subsidies of 80% from SSG & MPA and 10% from SMOU, a cadet pays 10% plus GST of the total course fees ($2,907.50 + $2,035.25 = $4,942.75). Total course fees is $32,970 (excluding GST). With the subsidies of 80% from SSG & MPA and 10% from SMOU, a cadet pays 10% plus GST of the total course fees. Q8:	What is the wage scale of a Marine Engineer? Q9: What are the components of TETA cadet training? Q10: I am interested in the TETA programme. How can I register for it? Q8 What is the wage scale of a Seafaring Officer? Q9: What are the components of TNTA cadet training? Q10: I am interested in the TNTA programme. How can I register for it?